This unique program – TEAMS (Teachers Educating All Multilingual Students) – provides teachers the opportunity to take a leadership role and make a positive difference in the lives of English learners and bilingual students in their school and community. The TEAMS project funds 80 teachers from five partner districts to complete a rigorous sequence of Ecampus courses leading to state certification. To date, 38 teachers in 23 schools who educate 2,139 students, including 428 ELs, have completed the program. A second cohort of 40 teachers will begin the program in Summer 2019. TEAMS is a $2.5 million, five-year federal grant from the U.S. Department of Education Office of English Language Acquisition. 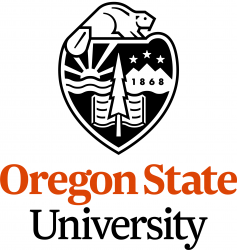 Oregon State University will partner with five school districts – Greater Albany, Beaverton, Bend-La Pine, Corvallis and Springfield to support teachers in obtaining their ESOL endorsement. Tuition costs will be covered by grant funds. Teachers will work in district-based groups to complete OSU course work to earn their ESOL endorsement.